IAC posts updated handout for the public titled "Influenza: Questions and Answers"
IAC updates “Standing Orders for Administering Hepatitis B Vaccine to Children and Teens"
IAC updates “Standing Orders for Administering Pneumococcal Polysaccharide Vaccine to Children and Teens"
After publishing 61 issues since 1994, IAC has now placed the final edition (November 2017) of Needle Tips online. The lead story, "Thoughts on the final issue of Needle Tips" by Dr. Deborah Wexler, reviews the 23-year history of Needle Tips—how it began, how it grew over the years, and what’s next. The final issue also features the highly popular "Ask the Experts" column, focused on influenza, with questions answered by experts from CDC’s National Center for Immunization and Respiratory Diseases. You'll also find a new patient handout for 16-year-olds—"You're 16 . . . we recommend these vaccines for you" from IAC and the Society for Adolescent Health and Medicine. Click on the image below to download the entire November issue of Needle Tips (19-page, 8.58 MB PDF). 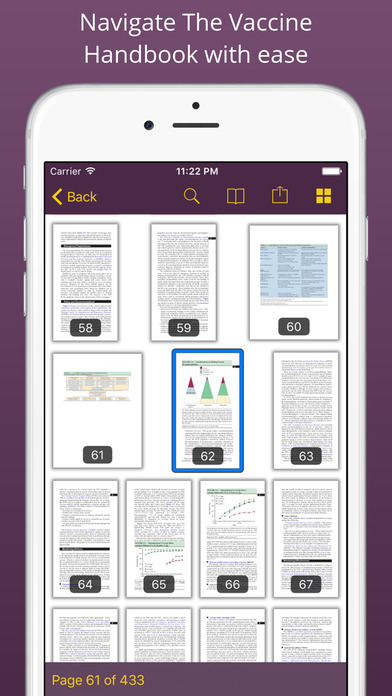 Access the Table of Contents (HTML) to download individual sections or pages. For the future, to be informed when new or revised IAC pieces, ACIP recommendations, VISs and translations, educational opportunities, and other resources are available, subscribe to our free weekly newsletter, IAC Express. The Advisory Committee on Immunization Practices (ACIP) met in Atlanta on October 24–25. During the meeting, votes were taken on two vaccines and the two U.S. immunization schedule updates for 2018, as described below. In addition, ACIP discussed a new hepatitis B vaccine (Heplisav-B, Dynavax) currently under review by the FDA, hepatitis A outbreaks occurring around the country, a presentation on a new educational campaign to prevent Shoulder Injury Related to Vaccine Administration, a report on items being discussed by the human papillomavirus (HPV) vaccine workgroup, adverse event surveillance for Japanese encephalitis vaccine, descriptions of the impact of pneumococcal conjugate vaccine (PCV13) on nasopharyngeal carriage and invasive pneumococcal disease, and information on anthrax vaccine. Also, the committee received summaries of influenza surveillance and coverage, as well as an update on live attenuated influenza vaccine (LAIV). Additional information on LAIV will be presented at the February 2018 ACIP meeting. However, at this time, ACIP continues to recommend that LAIV not be used during the current influenza season. On October 20, the Food and Drug Administration approved Shingrix (GlaxoSmithKline) vaccine for use in persons age 50 and older for the prevention of shingles. Shingrix is a herpes zoster subunit (HZ/su) vaccine that contains an adjuvant to enhance the immune response. It is a recombinant vaccine, which differs from the previously licensed zoster vaccine live (Zostavax; Merck). In addition, Shingrix requires two doses of vaccine given a minimum of 8 weeks apart, rather than the single dose recommended for Zostavax. Based on the data indicating substantial benefits in disease prevention, ACIP considered 3 separate recommendations related to use of this vaccine. Specifically, ACIP voted and approved that Shingrix is recommended for the prevention of herpes zoster and related complications for immunocompetent adults age 50 years and older; recommended for the prevention of herpes zoster and related complications for immunocompetent adults who previously received Zostavax; and preferred over Zostavax for the prevention of herpes zoster and related complications. Several issues related to implementation of this new vaccine recommendation will be clarified when the final guidance is issued by CDC. Although the 2-dose measles-mumps-rubella (MMR) vaccination recommendation has led to a significant decline in reported mumps cases in the United States, a dramatic increase in mumps outbreaks has been reported in recent years, likely due to waning immunity. ACIP voted that persons previously vaccinated with two doses of mumps-containing vaccine (includes MMR and MMRV) who are identified by public health as at increased risk for mumps because of an outbreak should receive a third dose of mumps-containing vaccine to improve protection against mumps disease and its complications. In making the recommendation, ACIP members stressed that this vote is intended to provide guidance during outbreaks and does not require that public health departments mount a vaccination campaign or use funding to purchase the vaccine during a mumps outbreak. ACIP voted to approve multiple revisions to the 2018 schedules for children/adolescents and adults, which are scheduled for publication in February 2018. The majority of these revisions are related to changes in formatting/layout in an effort to simplify the recommendations, while other revisions involve updates to reflect new ACIP policies or the discontinuation of some vaccines in the marketplace (e.g., meningococcal polysaccharide (Menomune) and combination vaccine meningococcal serogroup CY-Hib (MenHibrix). Several formatting changes will be apparent in the 2018 child/adolescent schedule, including that the footnotes will use bullets to simplify the text, and the cover page will include a table of vaccine types, abbreviations, and brand names. The catch-up schedule will provide additional information on timing of rotavirus vaccination, clarification on the recommended intervals between doses of polio vaccine depending upon the age of the recipient, and a refinement of the wording on the birth dose of hepatitis B vaccine. Like the format changes in the child/adolescent schedule, the presentation of the footnotes will also be bullets rather than paragraphs. The cover page will include additional information on special populations (e.g., pregnant women and persons with asplenia or immunocompromising conditions), as well as updated abbreviations for vaccines included in the schedule. The footnotes for MenACWY and MenB will be separated to clarify the guidance for these two vaccines. Revisions also will be made to reflect ACIP recommendations such as the herpes zoster and MMR vaccine votes taken during the October meeting. On October 24, the CDC Health Alert Network (HAN) issued a CDC Health Advisory titled Advice for Providers Treating Patients in or Recently Returned from Hurricane-Affected Areas, Including Puerto Rico and US Virgin Islands. The "Summary" section is reprinted below. The Centers for Disease Control and Prevention (CDC) is working with federal, state, territorial, and local agencies and global health partners in response to recent hurricanes. CDC is aware of media reports and anecdotal accounts of various infectious diseases in hurricane-affected areas, including Puerto Rico and the U.S. Virgin Islands (USVI). Because of compromised drinking water and decreased access to safe water, food, and shelter, the conditions for outbreaks of infectious diseases exist. Access the complete CDC HAN Health Advisory, which includes "Background" and "Recommendations" sections, as well as additional resource links. CDC published Timeliness of Receipt of Early Childhood Vaccinations Among Children of Immigrants—Minnesota, 2016 in the October 27 issue of MMWR (pages 1125–9). A summary made available to the press is reprinted below. This study used data from the Minnesota Immunization Information Connection (MIIC) and the Office of Vital Records to measure childhood vaccination coverage and examine coverage differences across selected demographic characteristics at ages 2, 6, 18, and 36 months for children born in Minnesota in 2011 and 2012. Coverage levels were higher for children with two U.S.-born parents compared with children having at least one foreign-born parent at all four ages. When children were divided into groups by mother’s country of birth, some groups were vaccinated at higher rates than were children of U.S.-born mothers (Mexico, Central and South America), and others at much lower rates (Somalia, Eastern Europe). Outreach to groups with lower vaccination rates may be needed to improve vaccination coverage in young children. 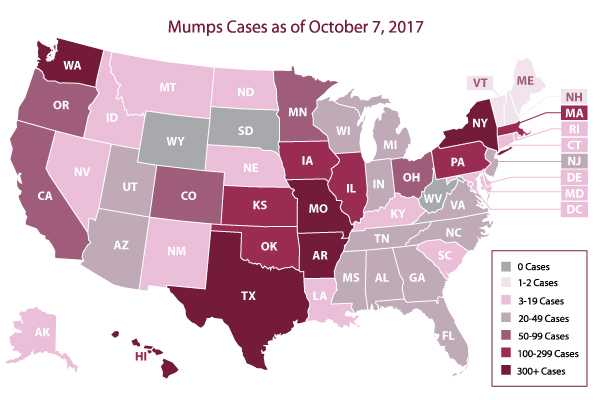 From January 1 to October 7, 47 states and the District of Columbia reported mumps infections in 4,667 people to CDC. Although it is not mandatory to report mumps outbreaks to CDC, many health departments will contact CDC when they experience an unusually high number of cases. In 2016 and 2017, a number of cases and outbreaks have been reported to CDC, primarily associated with college settings. These outbreaks have ranged in size from a few to several hundred cases, have mostly affected young adults, and are likely due to a combination of factors. These factors include the known effectiveness of the vaccine, waning immunity following vaccination, and the intensity of exposure to the virus in close-contact settings along with behaviors that increase the risk of transmission. See the second article in this issue of IAC Express for information about the recent ACIP recommendation about providing a third dose of MMR to people previously vaccinated with two doses of a mumps-containing vaccine who are identified by public health as at increased risk for mumps because of an outbreak. 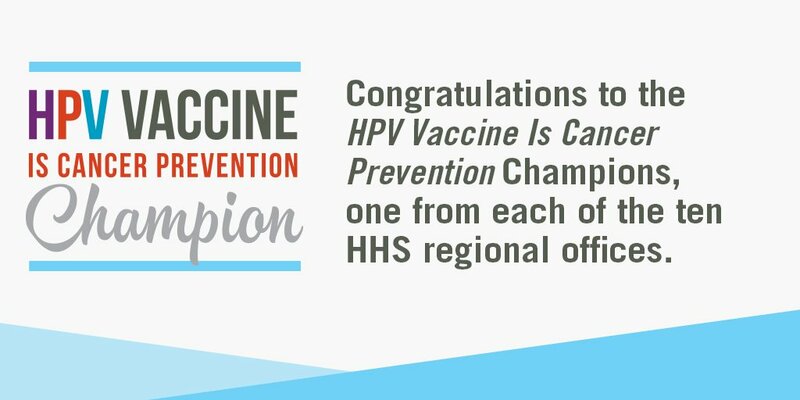 CDC has announced the ten regional winners of the 2017 HPV Vaccine is Cancer Prevention Champion award. The HPV Vaccine Is Cancer Prevention Champion is an annual award given jointly by CDC, the American Cancer Society, and the Association of American Cancer Institutes. The award recognizes clinicians, clinics, practices, groups, and health systems that are effectively working to protect their adolescent patients against human papilloma (HPV) cancers by achieving high HPV vaccination rates among 11- and 12-year-old patients. Click on the image below to access information about the 2017 awardees. CDC has been releasing a series of podcasts that highlight the leading role MMWR has played in reporting on health-related issues through the years. The most recent podcast in this "Defining Moments in MMWR History" series is vaccine-related: CDC’s Response to Intentional Release of Anthrax—2001. Access all the podcasts in this series. CDC published Notes from the Field: Postexposure Prophylaxis for Rabies After Consumption of a Prepackaged Salad Containing a Bat Carcass—Florida, 2017 in the October 27 issue of MMWR (pages 1154–5). Three paragraphs are reprinted below. On April 3, 2017, two Florida residents consumed part of the same prepackaged salad before reportedly discovering the partial remains of a bat carcass in the salad. Bats are known reservoirs for rabies virus, which causes rabies disease in both animals and humans. The persons who ate the salad contacted the Florida Department of Health (FLDOH), which notified CDC’s Poxvirus and Rabies Branch. CDC and FLDOH determined that the immediate concern was for potential rabies virus exposure, because approximately 6% of bats submitted to U.S. public health departments annually test positive for rabies virus. Several factors likely reduced the risk for rabies virus transmission to the two Florida consumers. No rabies virus was detected in the specimen, the bat’s cranium was intact, and the salad was rinsed before packaging, thereby diluting any potential virus. In addition, mucosal membrane exposures have rarely been proven to result in rabies disease, and rabies virus does not survive more than a few days outside a host. Although this exposure was likely of low risk, this investigation was an example of effective industry and government collaboration to remove a product of concern from the marketplace rapidly to protect consumers. 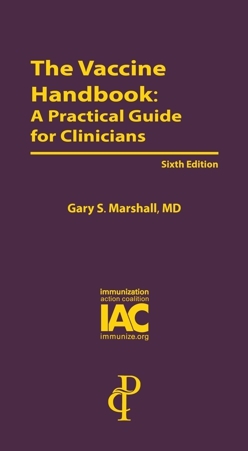 IAC recently revised its handout for the public titled Influenza: Questions and Answers. Changes were made to update the information for the 2017–18 influenza season and a question was added to respond to the 2017 study that suggested an increase in miscarriage among women who received inactivated influenza vaccine. IAC has updated its staff resource Standing Orders for Administering Hepatitis B Vaccine to Children and Teens. Changes were made to reformat and expand the text to include more information displayed in charts, and to incorporate a slight change in needle length for administering IM injections to children and teens. IAC has updated its staff resource Standing Orders for Administering Pneumococcal Polysaccharide Vaccine to Children and Teens. Changes were made to reformat and expand the text to include more information displayed in charts, and to incorporate a slight change in needle length for administering IM injections to children and teens. Unique to this national progress report is the inclusion of a new set of seven standardized viral hepatitis indicators with accompanying 2020 goals and annual targets for each indicator. This year’s report measures the Nation’s progress toward meeting these goals using data from 2015, the most recent data available. Only one indicator (“reduce the rate of HBV-related deaths”) met the 2015 target. For two indicators (“increase hepatitis A vaccination in children” and “reduce the rate of HCV-related deaths”), progress was made towards achieving the 2020 goal, but the 2015 target was not met. Annual targets were not met for the remaining four indicators; for these, either no change occurred, or data appear to trend further away from the goal. Access the complete report: Progress Toward Viral Hepatitis Elimination in the United States, 2017 (PDF; 44 pages). Press release from Hep B United: CDC National Progress Report on Hepatitis Elimination Reveals Rise in Acute HBV Infections and Low Birth Dose Vaccination Rates in the U.S.
CDC published Progress Toward Regional Measles Elimination—Worldwide, 2000–2016 in the October 27 issue of MMWR (pages 1148–53). On the same day, WHO's Weekly Epidemiological Record published a similar article titled Progress towards regional measles elimination—worldwide, 2000–2016. A media summary of the MMWR article is reprinted below. During 2000–2016, measles vaccination prevented an estimated 20.4 million deaths worldwide. The number of countries providing the second dose of measles-containing vaccine through routine immunization services increased to 85 percent; in 2016, global MCV2 coverage was 64 percent. Also during 2000–2016, annual reported measles cases decreased 87 percent and annual measles deaths decreased 84 percent. Despite advances, the WHO 2015 milestones haven’t been met. Only one WHO region, the Americas, has been declared free of measles. To eliminate measles, countries and their partners need to focus on increasing vaccination coverage through sustained investments in health systems, strengthening surveillance systems, using surveillance data to drive programmatic actions, securing political commitment, raising the visibility of measles elimination goals, and mitigating the threat of decreasing resources once polio eradication is achieved. #HowIRecommend is a new video series produced by CDC that highlights real healthcare providers responding to a variety of questions about HPV vaccine. In these short videos, clinicians make an effective HPV vaccine recommendation, answer the questions parents have about HPV vaccine, and explain how their office helps empower and educate parents. Currently, you can see pediatricians Dr. Alix Casler and Dr. Sharon Humiston answer the most common questions they hear about HPV vaccination. More videos in this series are in production and will be posted in the upcoming months. Access the 15 videos currently available in the #HowIRecommend series. CDC recently released its annual report on adolescent vaccination coverage, showing millions of teens are still under-vaccinated against serious infectious diseases. Rates are particularly low for those vaccines that need to be administered as multi-dose series—just 39.1% of teens received the recommended second dose of quadrivalent meningococcal conjugate vaccine (MenACWY) and only 49.5% of girls and 37.5% of boys completed the human papillomavirus (HPV) vaccination series (NIS–Teen, 2016). To help increase adolescent awareness, AIM has released Chapter 2 “Engaging Teens Directly” to provide insight into Immunization Program activities that engage adolescents to take part in decisions about their own health. This can be approached in a variety of ways, such as social media campaigns and community initiatives (schools, college fairs, community centers). Providing adolescents vital information about vaccines directly encourages them to participate in the critical health care decisions that will govern their health for many years to come. Access Chapter Two: Engaging Teens Directly. Access Chapter One: Reach Teens via School-Related Efforts. Access AIM's Adolescent Immunization Resource Guide web page. Additional resources and news items are available in the full newsletter. CDC will present a one-hour "Current Issues in Immunization NetConference" on November 8 at 12:00 p.m. (ET). The speakers will discuss the new ACIP recommendation regarding herpes zoster vaccines, and will also provide information about hepatitis A prevention in light of recent outbreaks and current constraints related to the hepatitis A vaccine supply. The NetConference will be moderated by Andrew Kroger, MD, MPH, medical officer, National Center for Immunization and Respiratory Diseases, CDC. Influenza vaccine: Will FluMist return? Free continuing education credits (CME, CEU, and CPE) will be available for both the live and archived events. Influenza Vaccine 201718: Vaccine Storage, Handling‎, and Administration FAQs: This CDC video identifies the recommended procedures that all healthcare personnel who store, prepare, and administer flu vaccine should follow. New flu vaccines for this season are also discussed.